Lunch of Champions – Wait…are those…cookies?! Nah, not really. 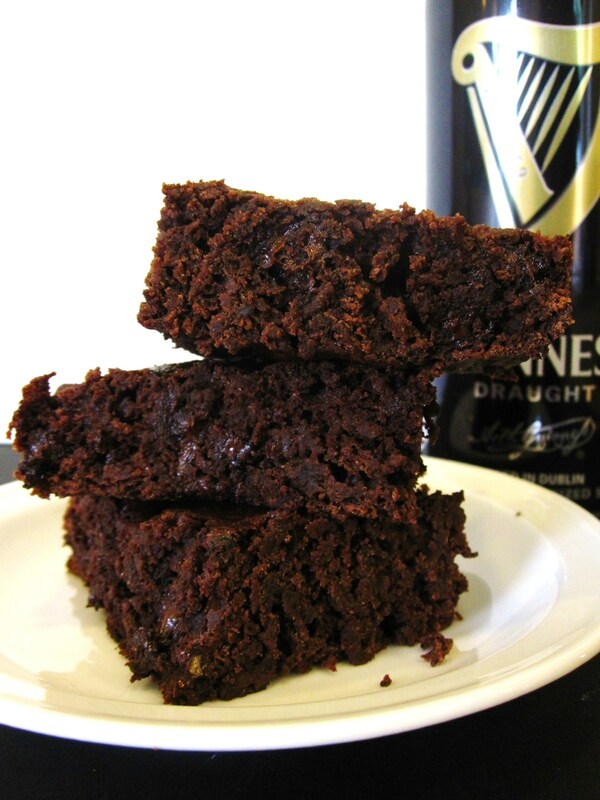 Except that I’m going to, because these aren’t your average chocolate-stout cake/brownie… oh no. Within these babies lurks a whopping dose of antioxidants and dietary fiber like no one’s business. Which is probably why Vaccuum Vati (for whom these were made in the first place, as he luuurvs Guinness and chocolate) ate two for lunch. With the remainder of the Guinness. Lunch of champions, most definitely. You know why? 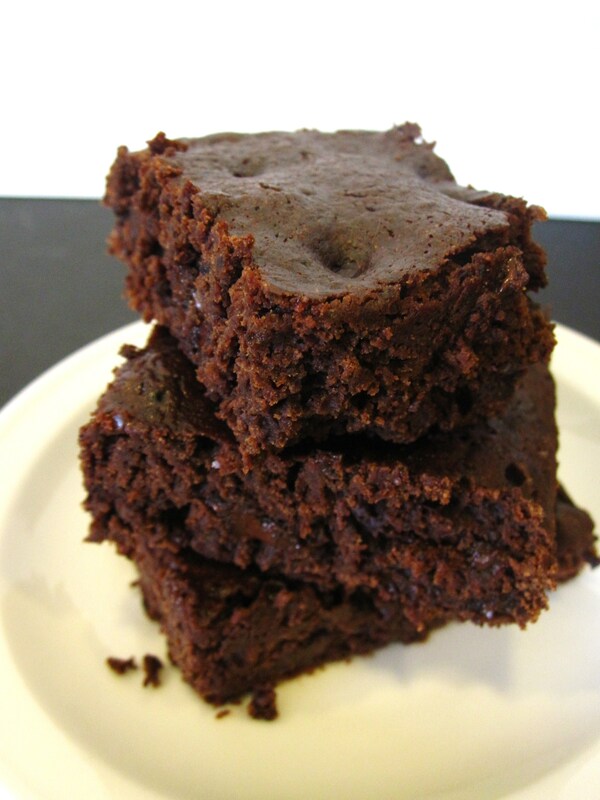 Because these brownies are made with whole wheat flour and black beans! Yeeeahh. Black beans provide an unbeatable protein-fiber combo, which supports digestive health, blood sugar regulation, and cardiovascular health. Beans, beans they’re good for your heart…! Ha. Besides that, beans AND cocoa powder have tons of antioxidants and phyto-nutrients, which translates to the prevention of several cancer types, as well as a myriad of other health bonuses. YAYAY for beans! Especially when they’re disguised as dessert. I for one LOVE beans straight out of the can (though definitely not with crumbled up power-bar thrown in there, like my chiropractor… oh Rob, what are we going to do with you?! ), but these brownies are another beast entirely. They totally grew on me: straight out of the pan, I wasn’t a super fan, but after they cooled off, I found myself going back multiple times to “trim” the uneven pieces and swipe little crumbs that fell off when I was photographing. Definitely worth it. For lack of instant coffee powder, I used finely ground espresso, which might account for the stronger coffee flavor, but it pairs well with the Guinness and chocolate. And these probably have the BEST consistency of any black bean brownies I’ve tried: perfectly gooey in the center with slightly chewy edges. Deeelicious. Not super sweet, but just perfect (and this is coming from Vati, who swears by death-by-dessert sweets). A win all around, especially since you can fool your brain into thinking you’re eating a fully-fatted dessert ;) Besides all that, these are cholesterol-friendly, with no eggs, butter, or oil. I made a half batch, since these are mostly for Vati, but it still made a large-ish batch. I’ll give the half size measurements here, for an 9 by 9 square cake pan. Recipe with thanks from Farm Girl Gourmet, here! 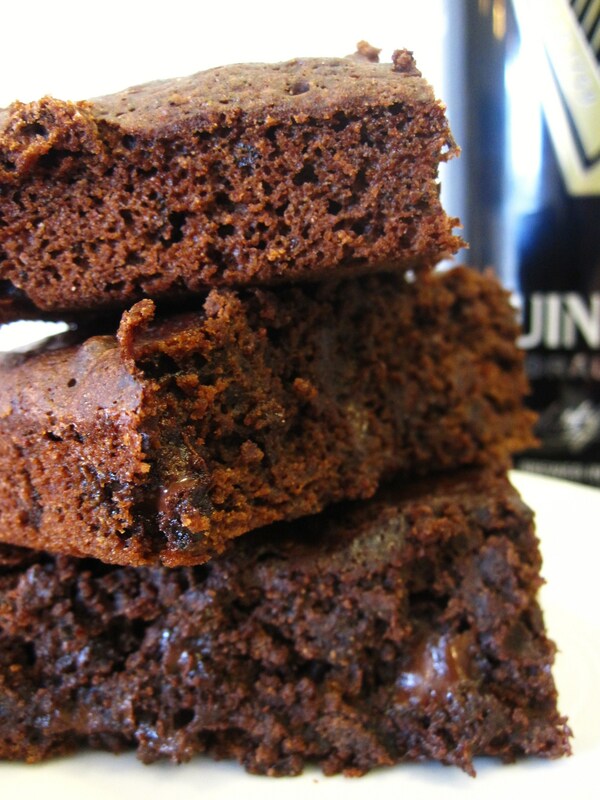 *More sugar than I would normal use in a recipe, but it’s necessary to balance the Guinness and the coffee flavor, and these still aren’t too sweet. If you want a sweeter brownie, feel free to add sugar to taste. You'd never guess there were beans in these, would you? Preheat the oven to 350, and lightly grease a 9 by 9 cake pan (If you double it, use a 9 by 13). Drain and rinse the black beans, and then put half of them back into the can. Fill it with fresh water, just to the top of the beans. Toss all this into a blender or small food processor, and puree. Set aside in a smallish bowl. Blimey – lunch of champions indeed. I find it really hard to find a good stout that isn’t Guinness, just goes to show how dominant it is in the market. This is a great recipe. I have never heard of black beans being used in this kind of recipe but it looks delicious! They are! 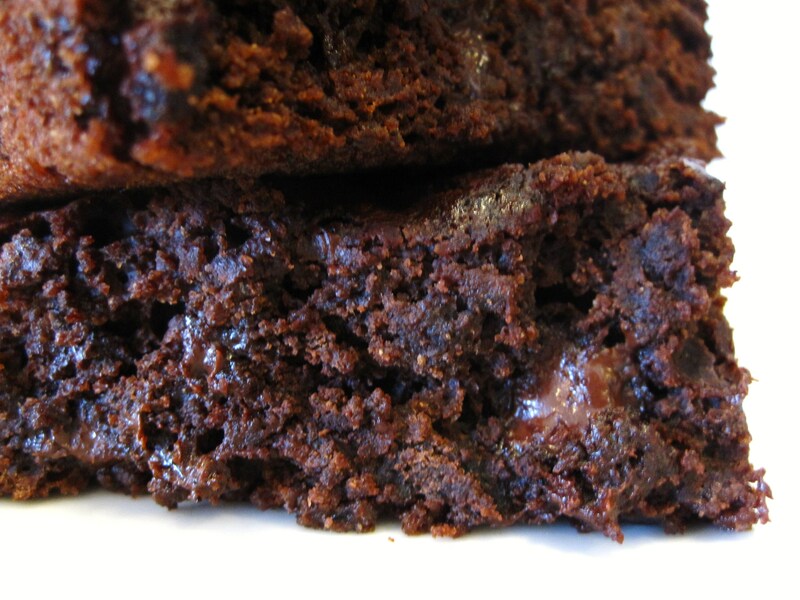 And black beans in brownies are amazing—you’d never know they were in there unless someone said something! It’ hard to pick a favorite recipe from your blog. For now anyway, this one is at the top! I can’t think of a better combination of stout, sugar and beans! Previous PostPrevious Workout. Get pumped! Eat. Love. Repeat as necessary! Next PostNext Sixty page thesis beast deserves cookies!